Very pretty watch. Love the pink face and bling around it. Iconic designer Michael Kors is one of the top names in American fashion, with fashion forward styles and bold designs. This stainless steel women's watch from the Darci collection features crystal set bezel. I love love love my new watch!!! 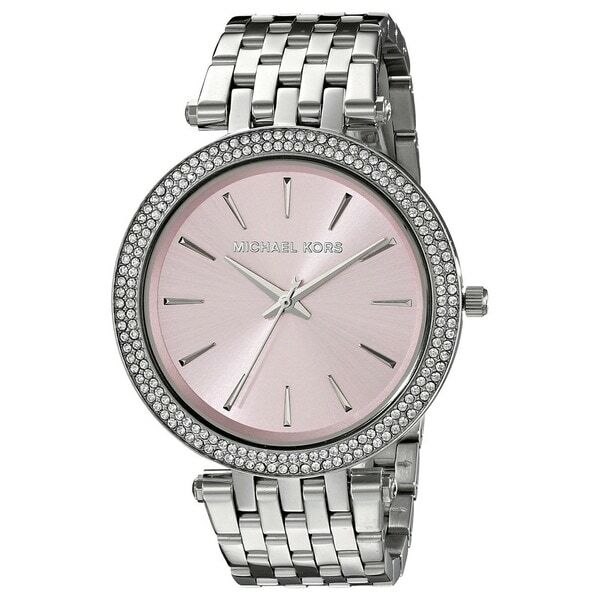 The pink dial has a beautiful shimmer to it. This is not my first Michael Kors watch beacause they are well made and it won’t be the last. Very good price on Overstock.